Racked up a ton of miles on LPX's "Tightrope" since it dropped earlier this year? Same. The single—which was the first to be released under MS MR's Lizzy Plapinger new moniker—is an irresistible stunner that immediately had us hooked on her new sound. Fans living on the west coast will now be able to hear it live when the she headlines Red Bull Sound Select Presents: Los Angeles on Thursday, August 24 ahead of her upcoming tour with RAC. 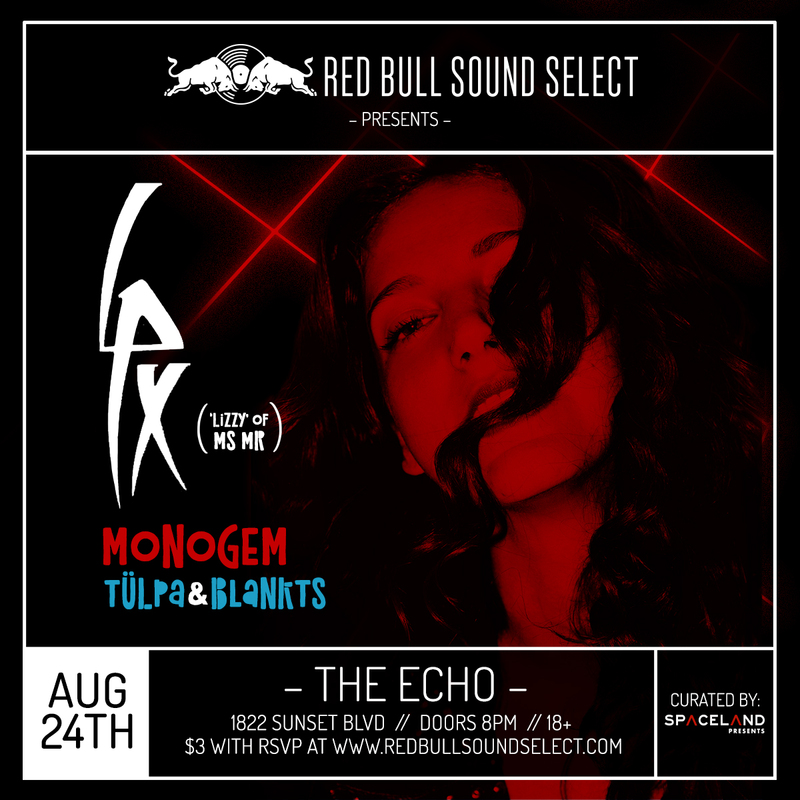 Before LPX graces the stage, two California natives will be hitting the deck—electro-pop vocalist, Monogem and newly formed duo, TÜLPA & BLANKTS. It's all going down at The Echo on Sunset Boulevard at 8:00 p.m. Tickets are $3 when you RSVP here before before August 24 and $10 at the door without an RSVP. The best part? All proceeds will support the opening bands. Rad! Check out a preview of what's to come below, then make sure to Track all three acts on Bandsintown to stay updated on all their touring news!